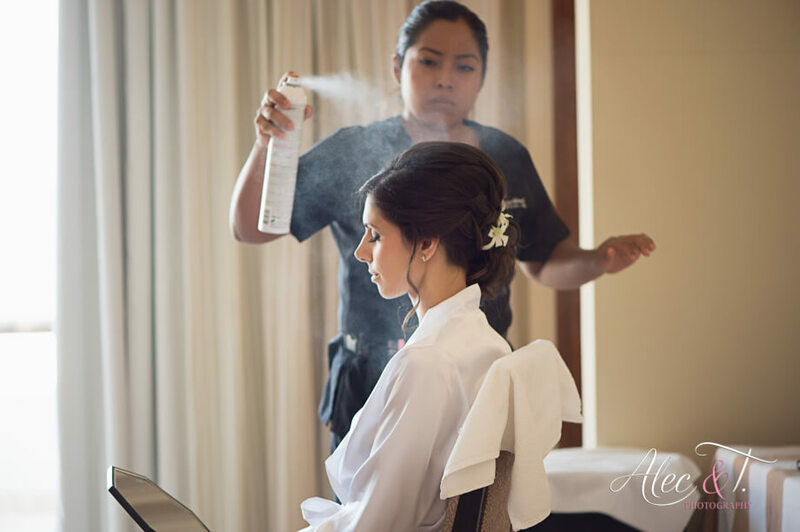 Here at Suzanne Morel Face and Body Care, we style hundreds of destination brides each year. Yet we never get tired of seeing each individual bride’s beautiful wedding-day style in the most breathtaking setting on earth—sunny Los Cabos! 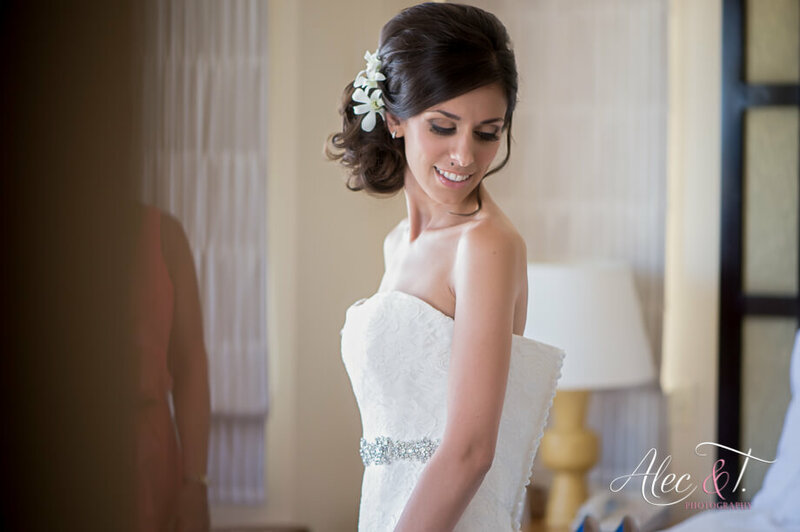 We styled this bride in a voluminous side chignon that showed off her classic strapless gown. A few flowers in her hair gave her look a modern, romantic touch. We completed Janeane’s perfect look with a fringe of dark lashes, well-defined eyes and a natural lip. This lovely bride did a Trash the Dress shoot a few days after her wedding, and we were fortunate enough to style her for this fun photo session as well! 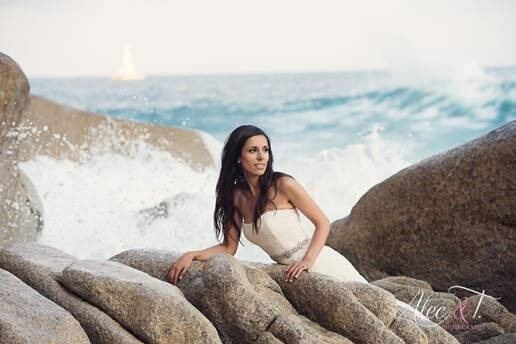 Trash the Dress is a great way to try another look with your wedding gown, and we haven’t seen a bride yet who hasn’t loved her Trash the Dress experience! 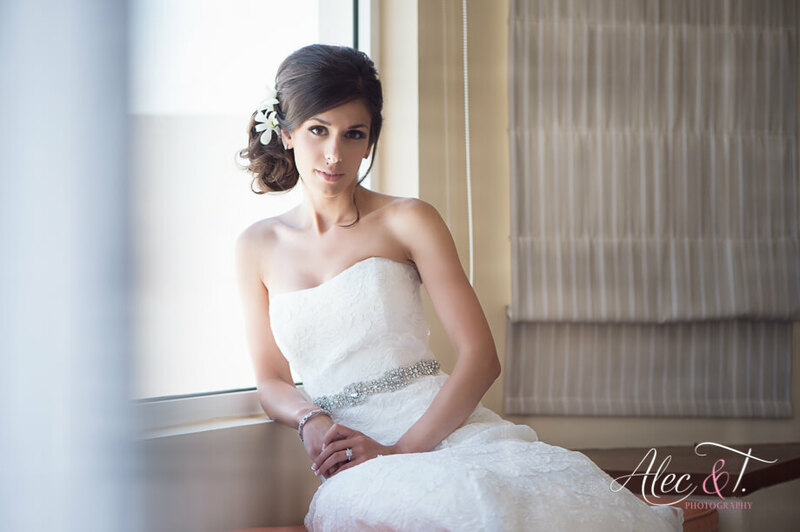 Contact us today for more information on special bridal packages that include Trash the Dress styling! 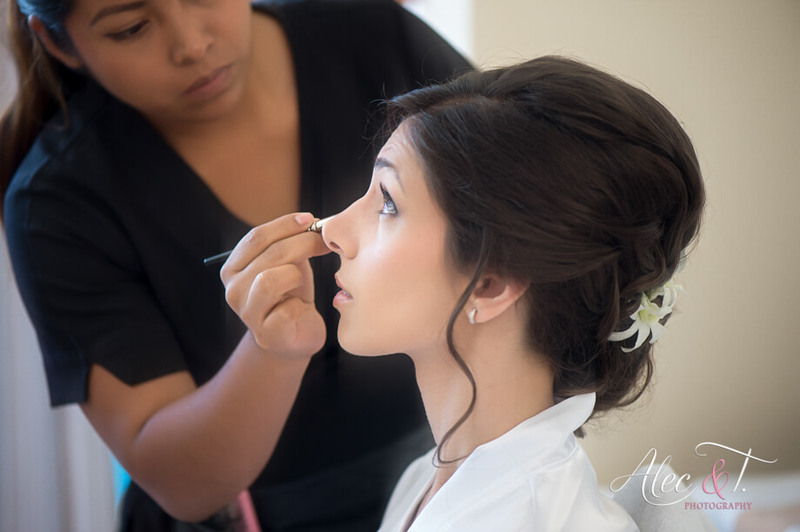 This entry was posted in Cabo Bridal Hair and Makeup and tagged beautiful bridal hair and makeup, Cabo beach wedding makeup, Cabo bridal eyelashes, Cabo bridal hairstyle, Cabo bridal salon, Cabo destination wedding hair, Cabo destination wedding makeup, Cabo makeup professional, cabo villas, Cabo wedding salon, Cabo wedding vendors, gorgeous Cabo bride, Mexico bridal salon, Mexico wedding salon, strapless bridal gown, Suzanne Morel, Suzanne Morel experience, Suzanne Morel review, Suzanne Morel testimonial.